I had a story to tell with lots of photos… unfortunately, the internet doesn’t seem to be very cooperative tonight! I’ll try that tale again tomorrow! 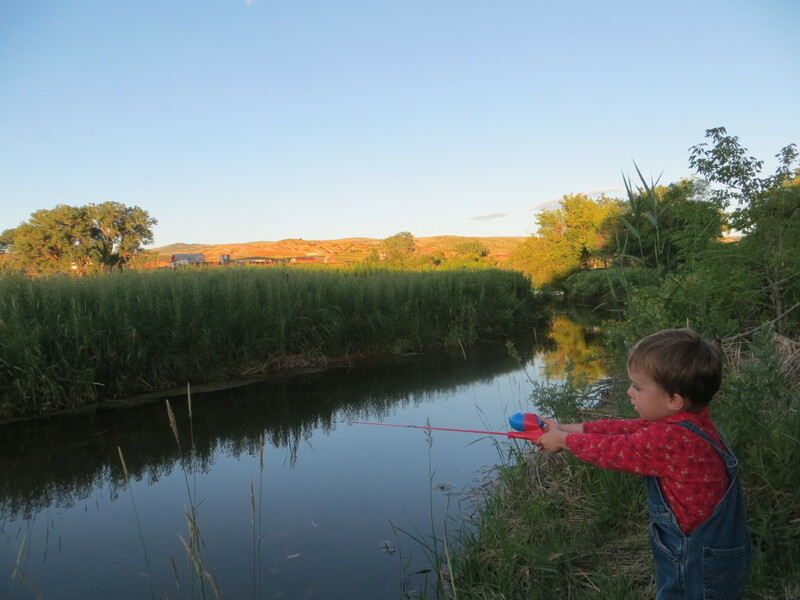 I had a very busy day trying to mow and weed eat everything I could… but then tonight, I had to take a young man and his Spiderman fishing pole down to the creek. About every third or fourth cast, Quinlan would have a pretty-as-a-picture cast… pretty darn good for three years old! I don’t think there was a better way to spend the evening on Wyoming’s 125th birthday… teaching the newest generation how to enjoy the out of doors! Any questions for the next Q&A session? Post them here! Happy birthday also to Matt, who I know is jealous of what Quinlan and I did tonight! Bring your poles next time, we’ll set the twins and you up! What a wonderful memory for you both. That makes me miss the fishing I did as a kid!! What fun!